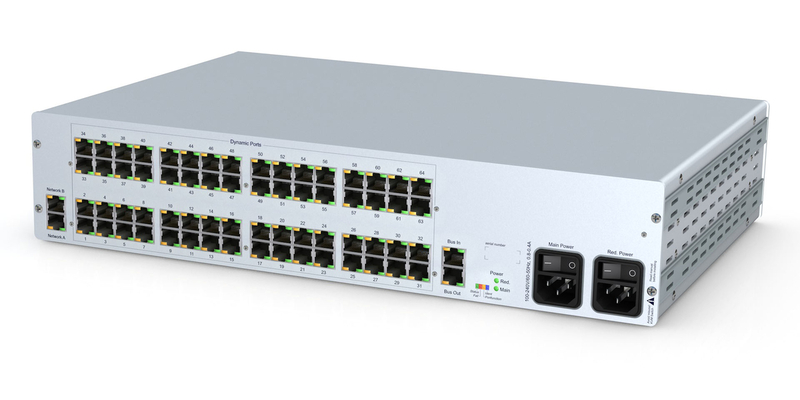 The Guntermann and Drunck Control Center Compact with 8, 16, 32, 48, 64, 80 & 112 Dynamic ports is a High performance Digital KVM Matrix Switch system which enables the operation and administration of multiple computers with digital video via distributed consoles. Due to its dynamic port assignment, the ControlCenter-Compact is suitable for use in all applications in which a large number of computers are to be operated by several simultaneous workstations. Thanks to the wide range of different computers and workstation modules, the ControlCenter-Compact can adapt to changing requirements. Areas of application are e.g. in control rooms, OB vans or any kind of control room..